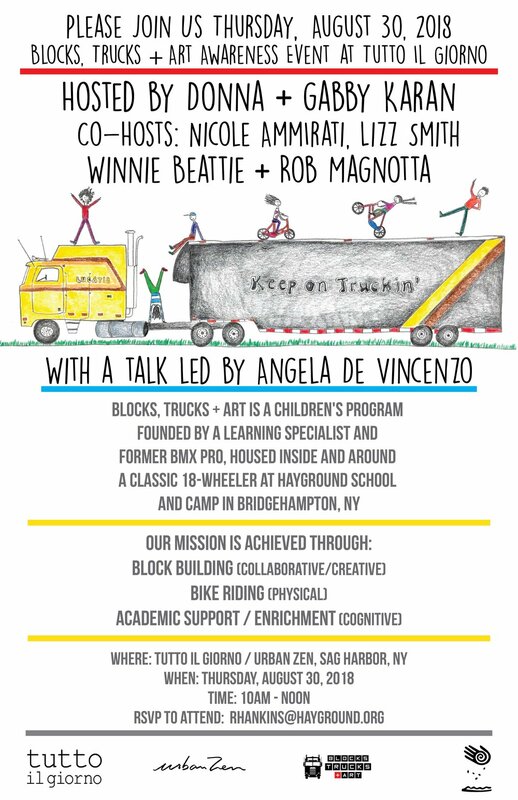 Blocks, Trucks + Art x Hayground Camp invites you to our Summer Kick Off Party! We will be having a BMX demo showcasing our bike program and DJ Aiden Jude of Crowd-Records spinning on the trailer. Hot dogs and beverages will be served...come learn more about Blocks, Trucks + Art's Summer and Fall program at Hayground School and Camp! 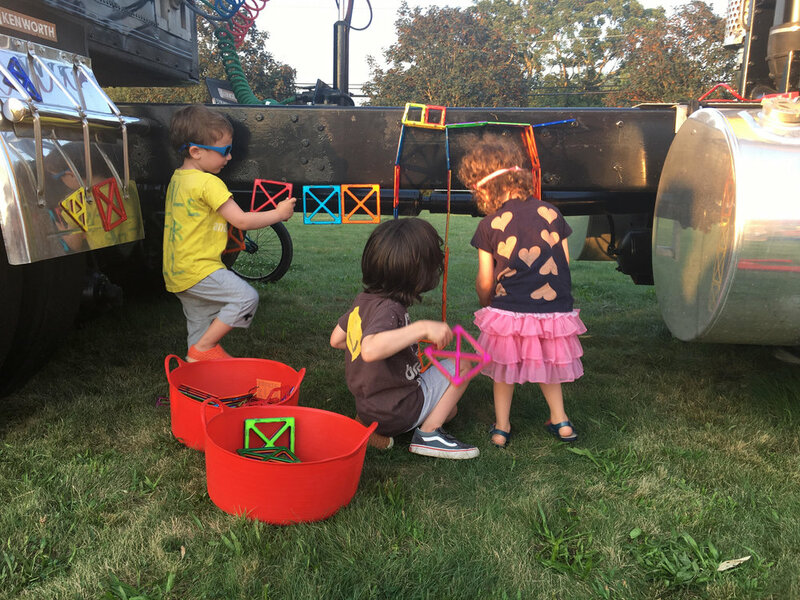 Blocks, Trucks + Art's "End-of-Summer Family Jam"
Pizza by Hayground School's Chef Arjun Achuthan! Also helping out is Lucas Roob + Michael Halsband. We had local harvested clams cooking alongside Arjun's delicious pizza in Hayground's wood burning pizza oven. We have biking on the Pump Track, art and Block Play for the children as well. There will be a silent auction as well to help us reach our goal of $50k this summer to keep our program rolling. Have a Private Chef Dining Experience on an 18-Wheeler this Summer out on the East End! 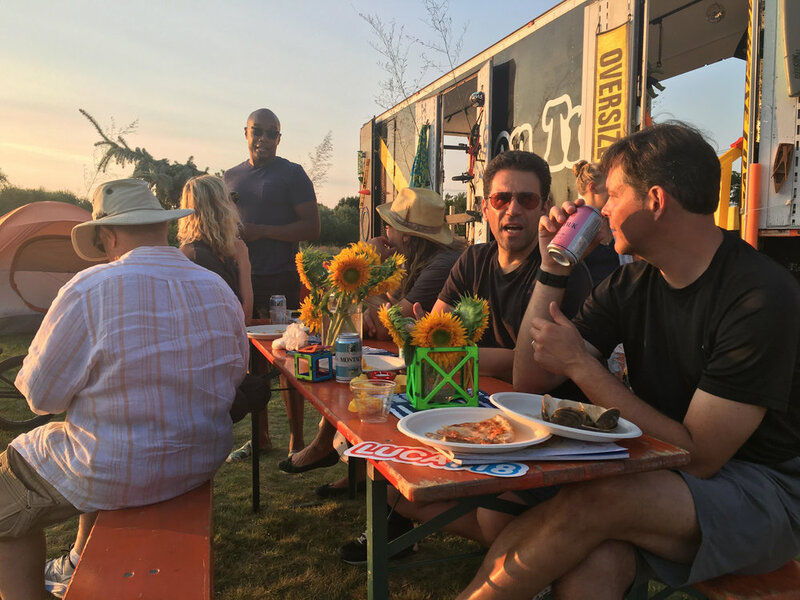 We are partnering up with some great East End + NYC chefs to host a few dining experiences on the rig as a way to help Blocks, Trucks + Art fundraise this summer. All funds will go toward taking our children’s educational program on the road this year to schools who can benefit from our program and professional development. Check out the beautifully written story in Edible Magazine on line here. Contact us to book a Farm to Truck dining experience and help support our children’s program. Available this July + August in the Hamptons, NY.